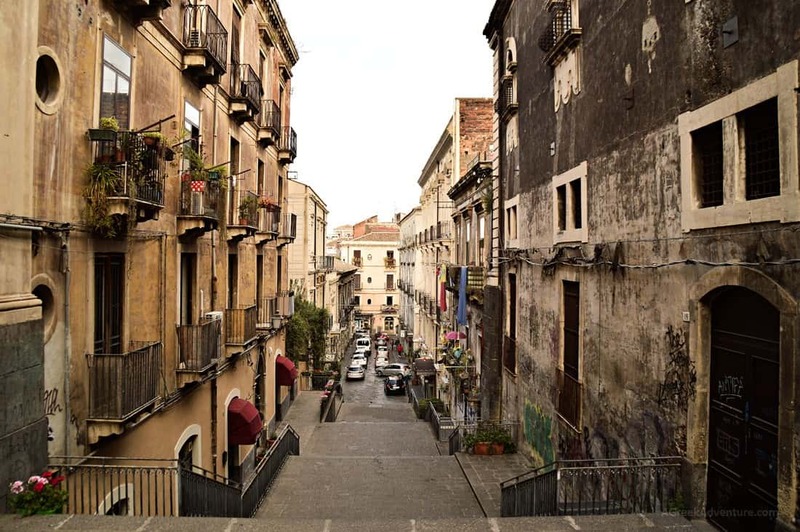 Catania is the 2nd largest city in Sicily, Italy. 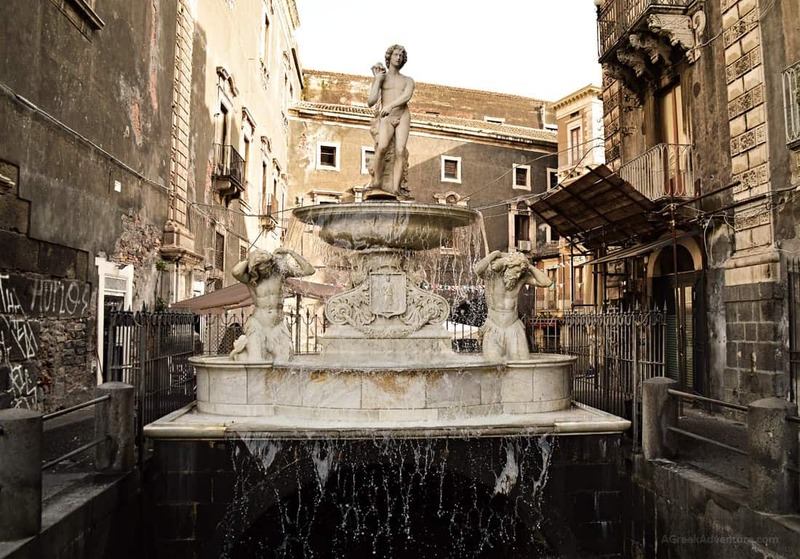 There is a big variety of things to do in Catania. Catania is “A Muntagna”, meaning under the Mount Etna. Mount Etna has provided with most of the building materials (stones) to Catania. That is most buildings are looking black, dark grey or “blackish”. 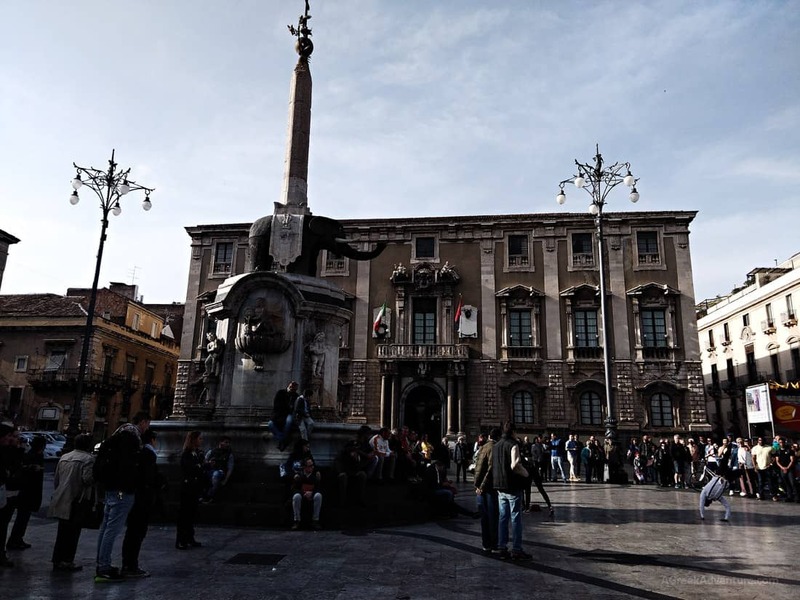 As in all Italian cities, the central point is again the Cathedral Piazza, Piazza Duomo. Duomo means “Cathedral” in Italian and each city has one. In 1669 Catania was covered in lava. In 1693 catastrophic earthquake shook the town really hard. After that the entire town was rebuild (in Baroque style) using lava as the building material! However the style you see is not exactly Baroque, but what is called as Late Baroque. It has some differences than the original ones, seen in the architecture. The “official” entrance into Piazza Duomo is very close to bus terminal. You just pass a gate and you end up in a huge square. This is how it looks when you first see it. In the center of the square there is always something happening. Either some jugglers or other performers will provide an extraordinaire spectacle. The protector of the city is St. Agata, but… this is the Christian form. However, there is an elephant in the square carrying mystic symbols. 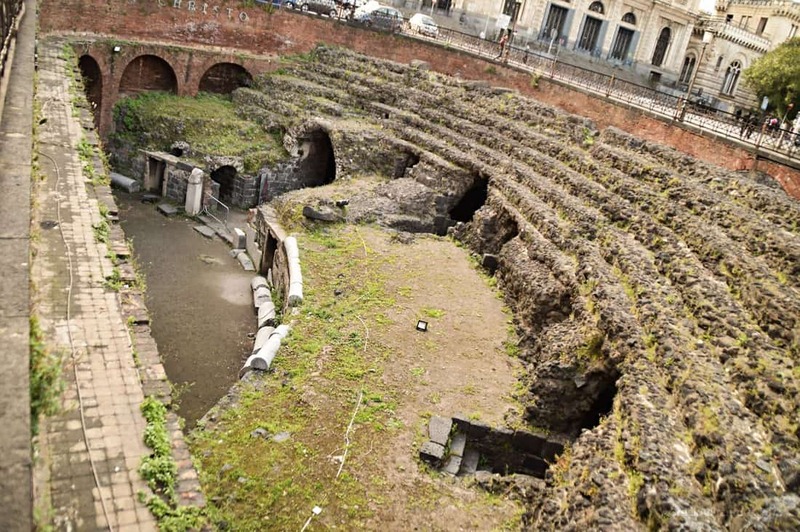 The u Liotru landmark has puzzled many during the history of Catania. The statue dates back to Roman age. 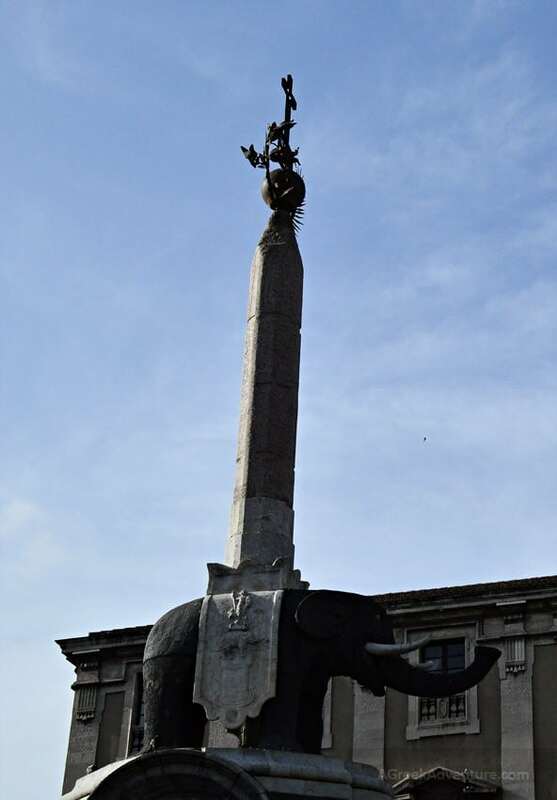 The Egyptian obelisk on top of the elephant was donated from the Circus Maximus during medieval times. Another “rumor” claims that it is a tribute to a wizard named “Elidoros” (u Liotrou means that). A globe, cross, palm leaf, olive branch and the abbreviation MSSHDPL (“Mente sana e sincera, per l’onore di Dio e per la sua liberazione della patria. This translates to: A healthy and sincere mind in honor of God and for the liberation of the homeland. Walk around! Each street parallel to Piazza Duomo has something different to tell you. However the Piazza is not big. Just imagine it like a big square. When you enter from the main gate and walk in a straight line, it ends up to the half-shown amphitheater at the other side. The parallel road leads to in the city monasteries, more churches and universities related to Jesuits and Benedictines. Much of the city is underground. Under the Piazza Duomo and in other locations around, there are covered ancient buildings and theaters. Some of them can be partially seen if you walk into… villas or at the back end of a pizzeria. 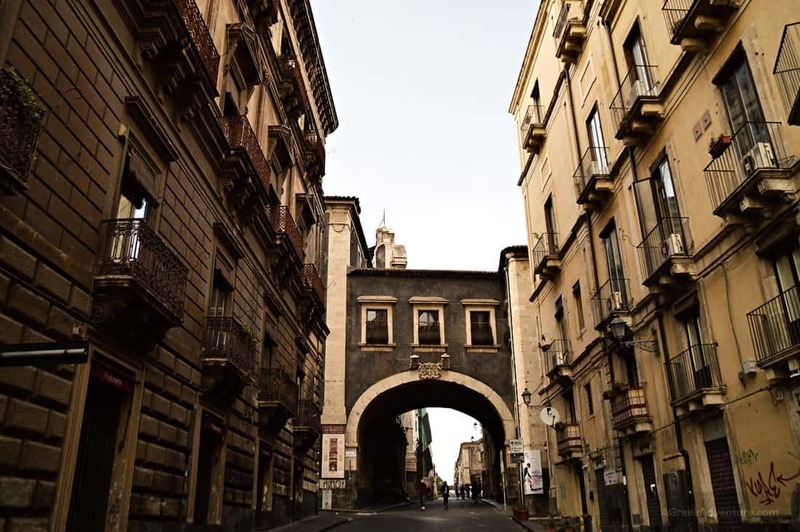 In Catania, the ancient elements is knitted with the contemporary buildings and not just a separate sightseeing. If you take the narrow path road behind the fountain you will get to a fish street food road, with really yummy treats. There are many coffee shops and wine bars everywhere. We had the good fortune to have a fantastic guide from Sicily who had studied Greek history in university, and could explain lots about the connection between Sicily and Greece. If you travel abroad don’t forget to book your flight and accommodation. 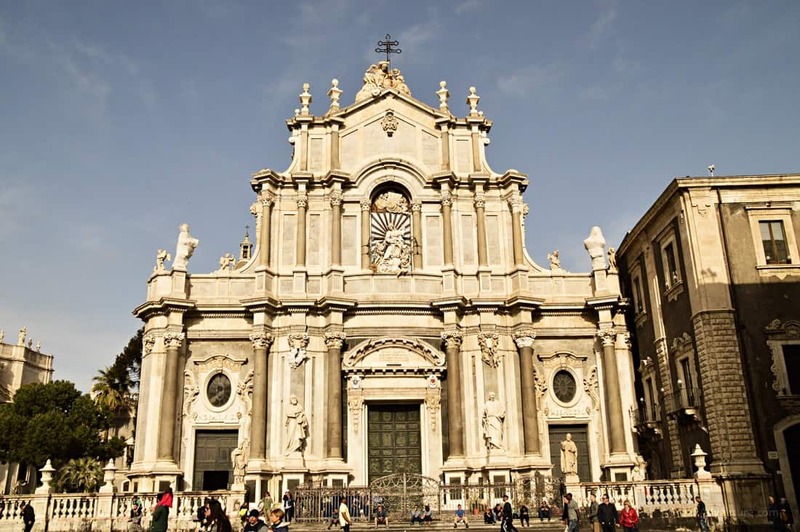 Make sure you get travel insurance too for your things to do in Catania itinerary. If you are an extended traveler, do see these travel resources. 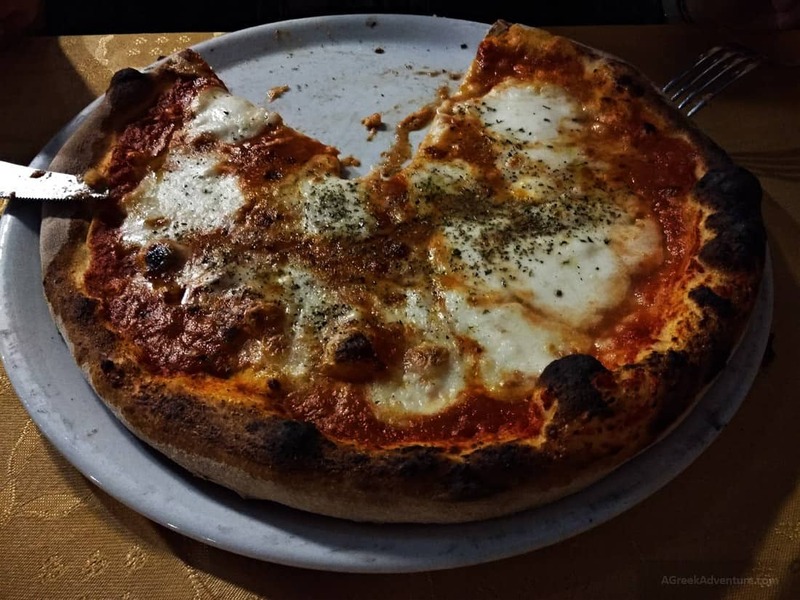 One of the best places, serving good food in good quantity with really nice and fast service is Antica Sicilia, at the very center of Catania. 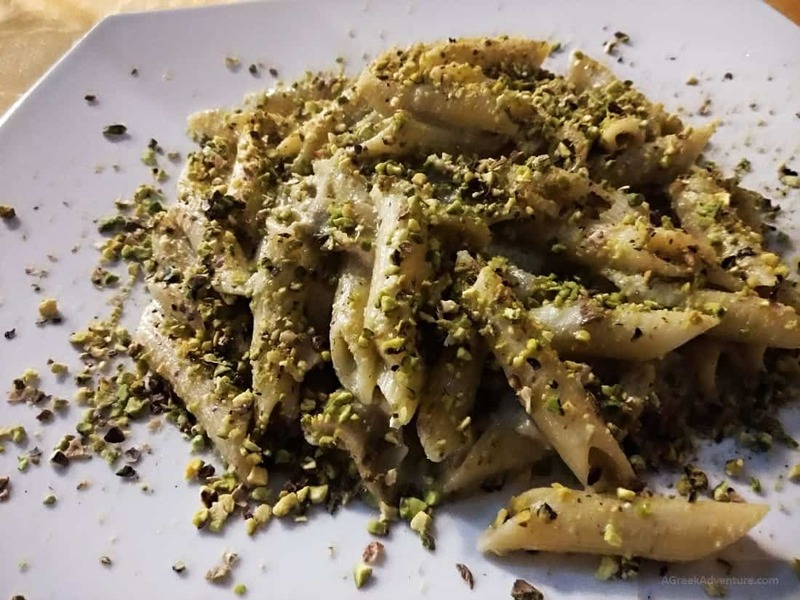 We ordered penne pasta with pistachio and pork, along with a pizza, finishing it with limoncello. Very tasty. If you are in Catania you must visit Mount Etna. It is near Taormina too. Find time to go to Agrigento, Syracuse and Cefalu. One of the must things to do in Catania is to visit it by night time. The city is atmospherically illuminated and looks really beautiful and mystical. 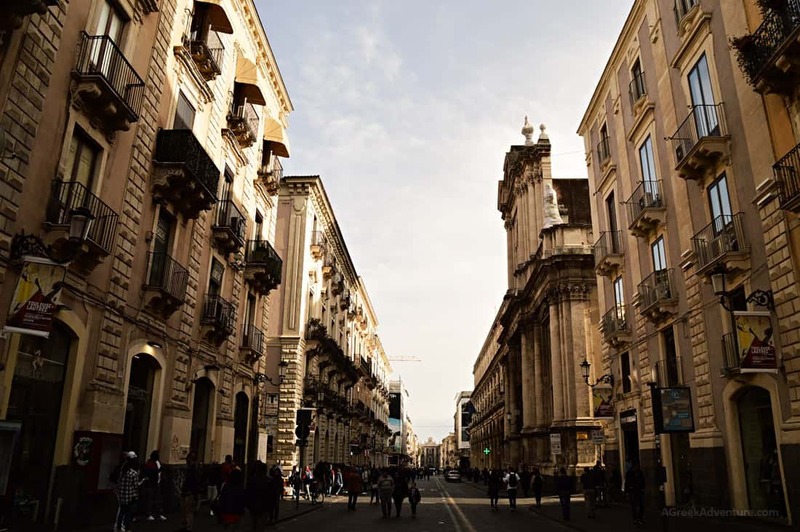 Here is a selection of 13 hotels in Catania, Sicily that definitely worth searching further. They range from aristocratic luxury to modern ones. 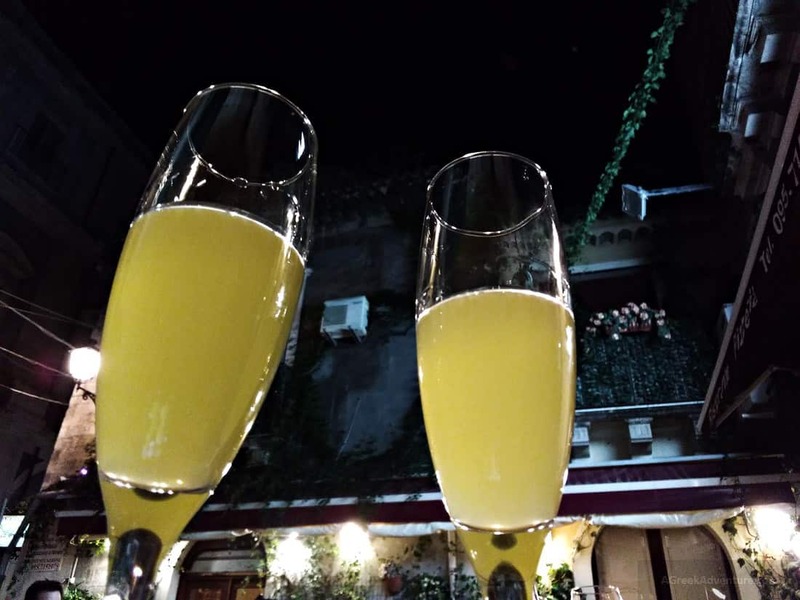 Asmundo di Gisira: In the city centre, artfully decorated with rooftop terrace. 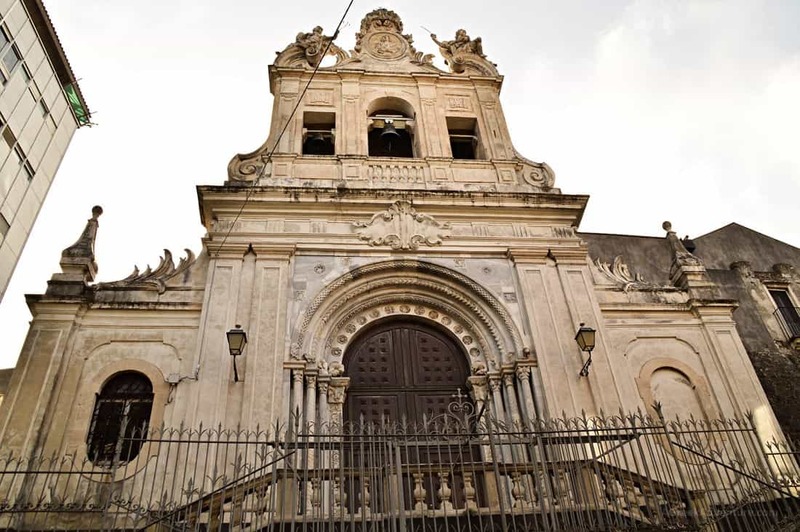 Hotel Romano House: 7 min walk from Catania Cathedra, in a 18th century townhouse. Also comes with rooftop solarium/gym. 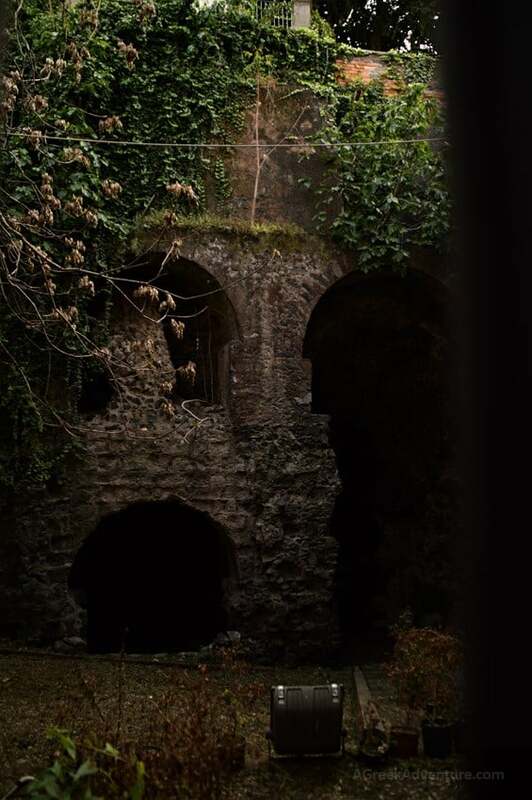 Monaci delle Terre Nere: At the slopes of Mount Etna. Classicl Sicilian aristocratic architecture with outdoor swimming pool. Il Principe Hotel: Newly renovated palace located between two of the most charming streets in the city. Hotel Villa Romeo: Sole hotel in Catania to boast three wonderful garden-terraces with plants and flowers. Liberty Hotel: Liberty-styled villa dating back to the first decade of the 20th century. Regina Margherita Hotel: In the heart of Catania and a former palace, near the famed Giardino Bellini. Romano Palace Luxury Hotel: On the waterfront of Catania, luxury and tasteful. Hotel Villa del Bosco: Historic building dating back to the 19th century, furnished with Sicilian antiques. 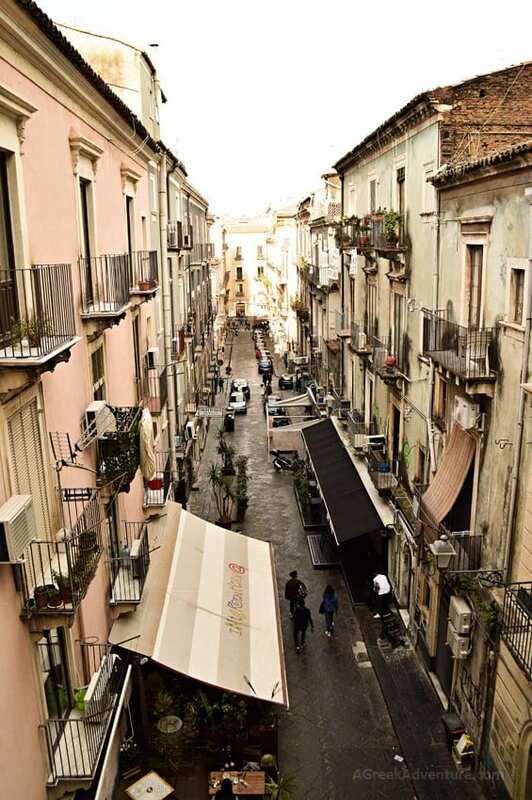 Hotel Etnea 316: In the heart of Catania, close to Piazza del Duomo and the Cathedral of Sant’Agata. Katane Palace Hotel: International staff, available 24/7. Residence Hotel La Ville: Housed in a historic building in Catania as hotel/residence. Rooms are elegantly decorated with antiques and vaulted ceilings. Manganelli Palace Hotel: In a historic building that used to belong to the local aristocracy. Beautiful ornamented, high-vaulted ceilings of good taste. We experienced a guided tour in Catania from a local professor of the University. It was a great experience as he told us all the little secrets of this lava black stone built city. If you have the time for such, give it a try. Here are a few selected options too.